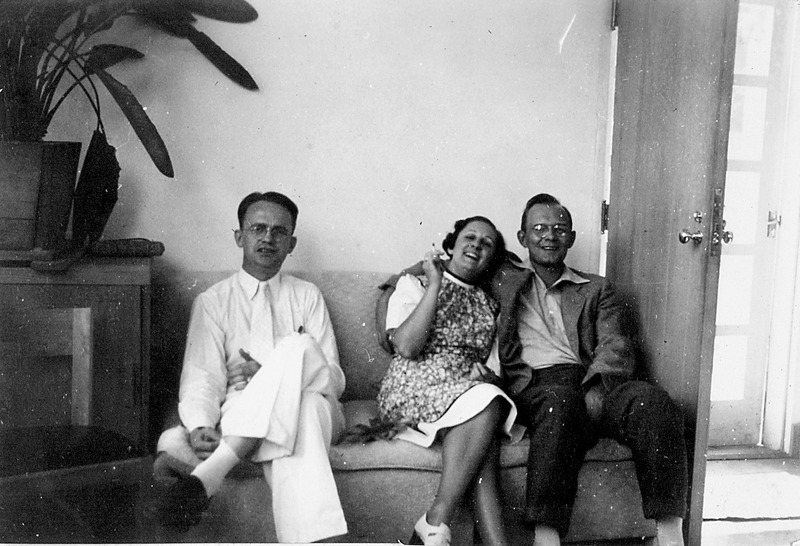 CSHL Archives Repository | Warren Nelson, Mildred Cain, and Bob Gaunt at Cold Spring Harbor Laboratory. Nelson, Warren O. (Warren Otto), 1906-1964. Cain, Mildred~ Gaunt, Robert~ Internal Secretions~ Nelson, Warren O. (Warren Otto), 1906-1964. “Warren Nelson, Mildred Cain, and Bob Gaunt at Cold Spring Harbor Laboratory.,” CSHL Archives Repository, Reference SQB/1937/1.10820, accessed April 20, 2019, http://libgallery.cshl.edu/items/show/56214.